I enjoyed this book a lot. Dave Harris writes from his first hand experience as a head teacher, and shares his practical advice to remind all school leaders why we need to be ‘bolder, brighter and braver than ever before’. Harris also discusses different leadership styles can be necessary at different times and again asks the reader to reflect on different occasions they have used the different styles. 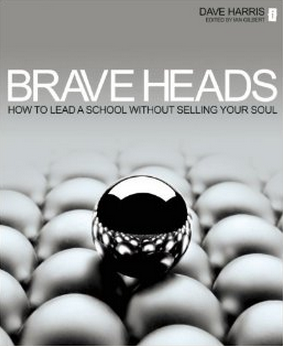 My overriding impression with this book was about the importance of having personal authenticity and moral courage. I liked Harris’ invitation to reflect on and review how my leadership might ‘need to change to respond to a turbulent and often contradictory environment’. Yes. Heaps! There is an extensive bibliography at the back of the book.